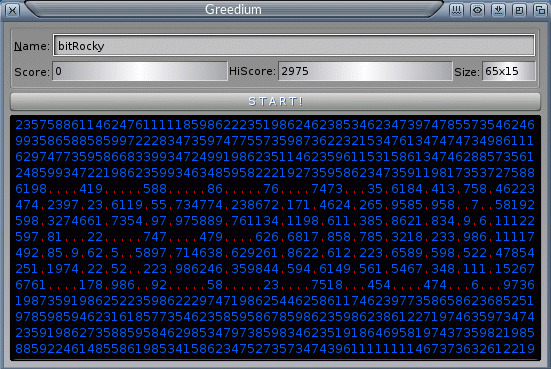 Description: A small MUI game about numbers. stay within the playfield. Sounds easy? Just try it! you go in that direction! You can walk to the left, right, up and down using the cursor keys. There is support for online highscores to compete against your friends! Only the highscores for the 5 default playfield sizes will be uploaded! 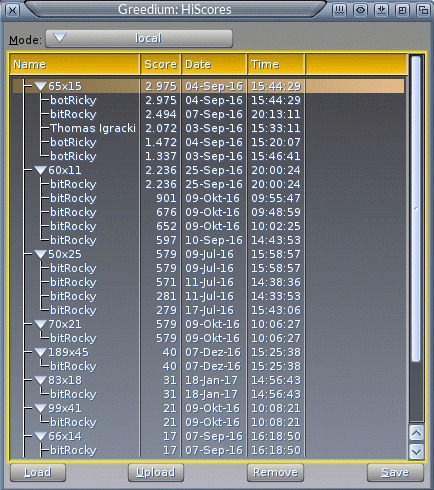 The local highscores can contain hiscores for any playfield size you played. - Immortal, while you are in God-Mode! 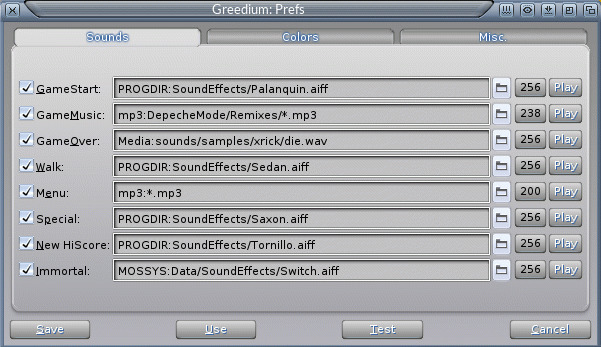 I preset them with sounds all MorphOS users already have. the color for the path and the font used for the playfied! or maybe multiplayer... it depends on how you like it! a song loaded successfully or there are no matches. which Special does which action!